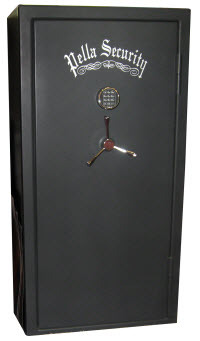 More than just an entry level safe. 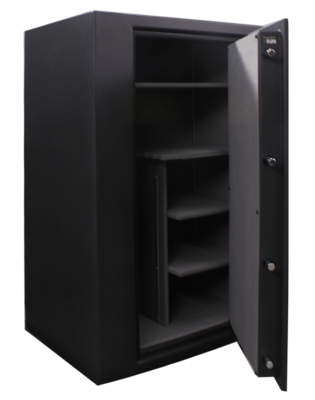 This series comes standard with many of the same security features and warranty as our other models. The excellent fire rating and tough black hammer tone finish make this series a tough competitor. Call 641-626-3004 for more information. Every product we manufacture is protected by a limited lifetime warranty for the lifetime of the original owner. If any part (excluding paint finish) fails to perform as designed, we will repair or replace the part free of charge. All manual locks are covered by a five-year warranty. All electronic locks are covered by a two-year warranty. If you are not satisfied with your safe upon receipt, just return it within 3 business days of delivery for a full refund or exchange, excluding freight charges. If your safe has been damaged by a home fire, return the safe, freight prepaid, and at our option we will repair or replace it free of charge.